This morning, I woke up early to visit the farmer’s market at Nathan Phillips Square (aka Toronto City Hall) for my search for Ontario heirloom cherry tomatoes. 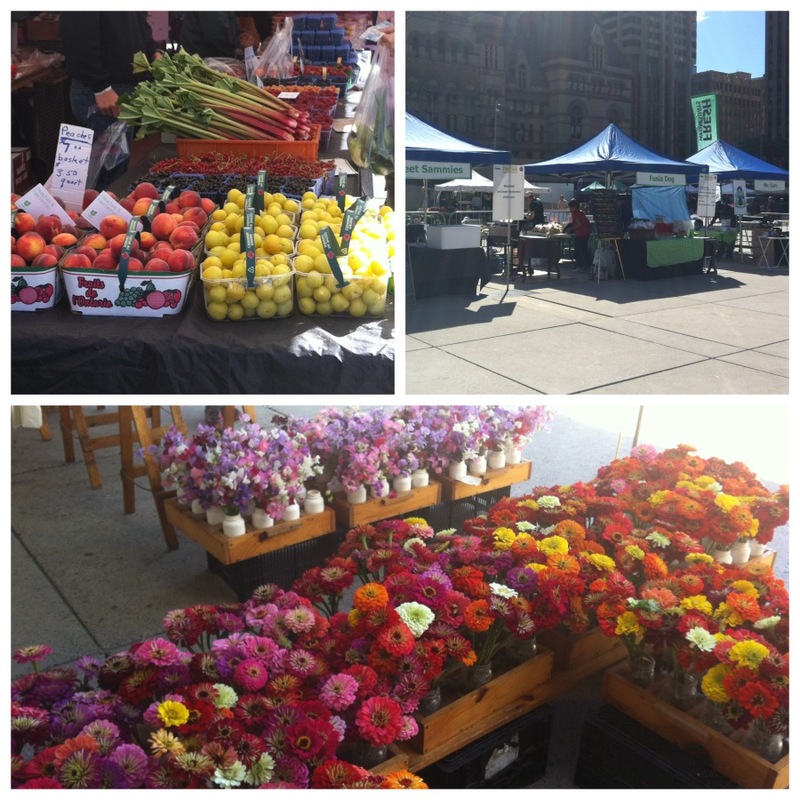 This is one of the bigger farmer’s markets in the downtown core and consists of 20 stalls with people selling flowers, honey, bread, beef jerky and all sorts of fruits and vegetables. There are also several food stalls selling prepared food. One of the nice things about farmer’s market is seeing all kinds of vegetables that you don’t commonly see in the grocery store. 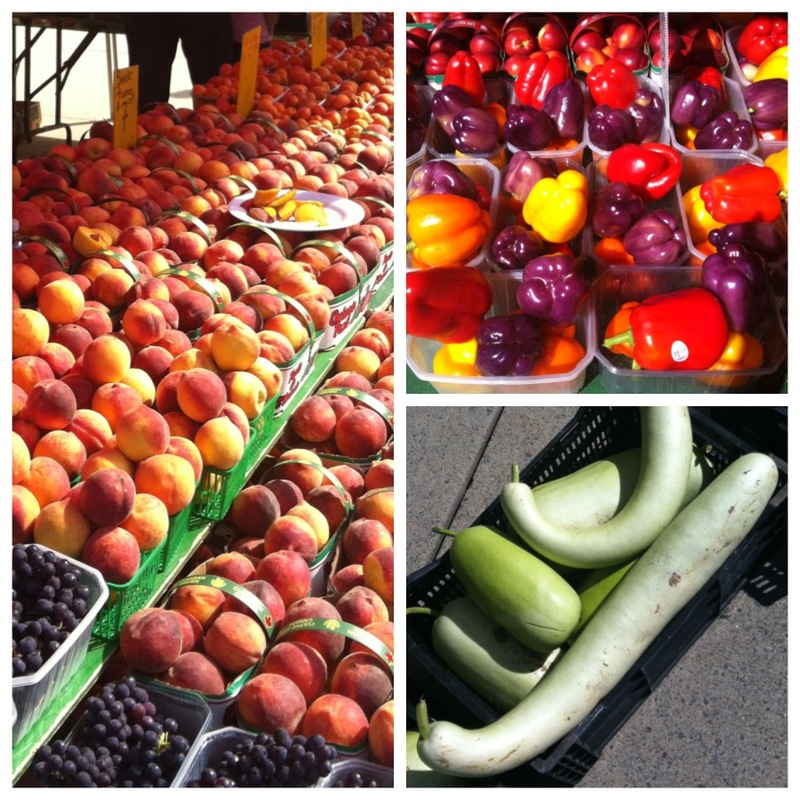 Multi-colored peppers, yellow cauliflower and huge zucchinis were on display today. I picked up a couple ears of corn and a small basket of baby cucumbers but none of the stalls had Ontario heirloom cherry tomatoes. But there is another nearby market that I will be checking out. Hopefully, I will have better luck there.